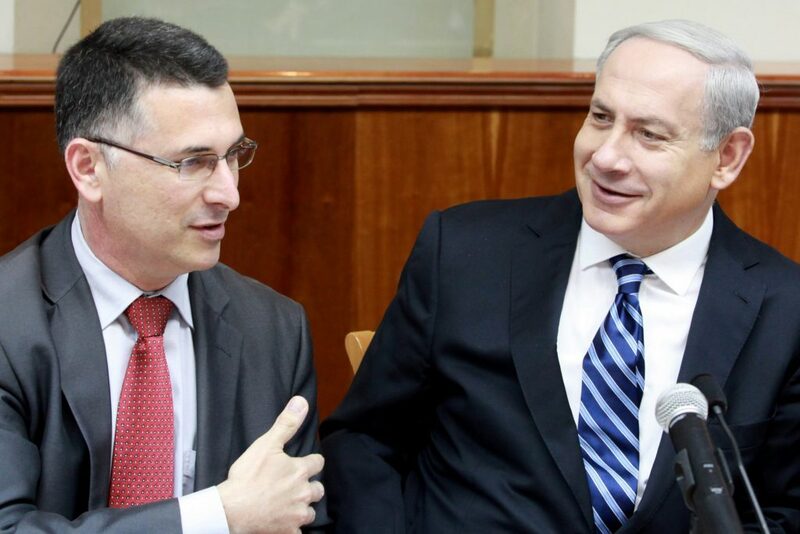 The allegations by associates of Prime Minister Binyamin Netanyahu that former MK and minister Gideon Sa’ar was trying to undercut him refused to die down Thursday – and actually took on a harsher tone, as both Sa’ar and officials close to Netanyahu slammed each other, accusing each other in turn of treachery, paranoia, lying and other negative phenomena. The issue came to the fore Wednesday in an analysis published by Yisrael Hayom on why the question of early elections has dropped out of the headlines. In the analysis, the newspaper cited senior Likud sources as saying that Netanyahu had planned to break up the Knesset and call early elections – but decided against it, after hearing from advisers that Rivlin might not appoint him to form the government if the Likud won a plurality of seats in the plenum, as polls predict. According to Israeli election laws, the president imposes the task of forming a government on the individual who is most likely to form one. Generally, this is the head of the list with the largest number of seats in the Knesset, but he is not required to do so.